When I try to think back to April 1986, all I can muster are memories of my older brother’s impending 16th birthday approaching at the end of the month. Little did I realise then that 1300 miles away, in what was part of the former Soviet Union, that the greatest nuclear disaster in history was unfolding. In our household we were focused on presents, parties, and celebration, yet in a district 2 hours drive north of Kiev lives were being shattered, homes were being evacuated, families were torn apart and, in many senses of the word, time was about to stop. 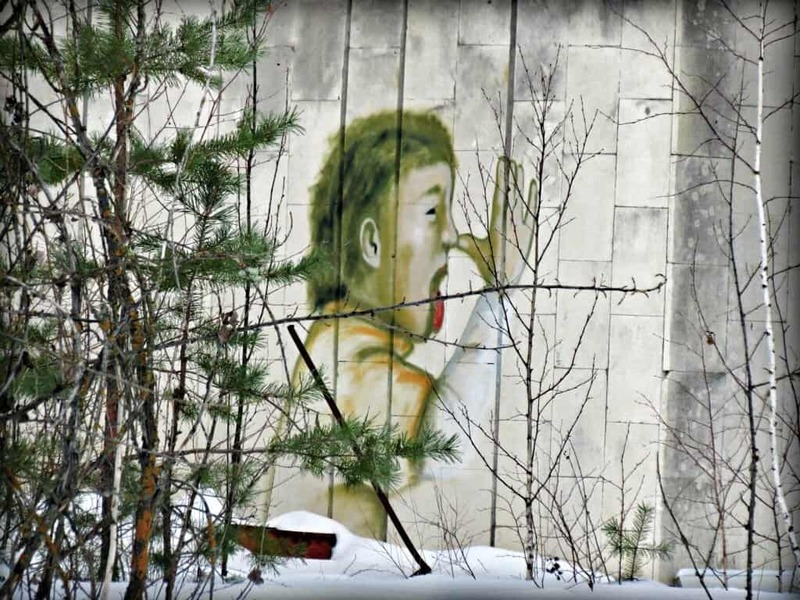 Fast-forward 30 years, and the very mention of the name Chernobyl to anyone of a certain age and who has some knowledge of the region will elicit a chilling response as memories are cast back to a moment of absolute devastation. 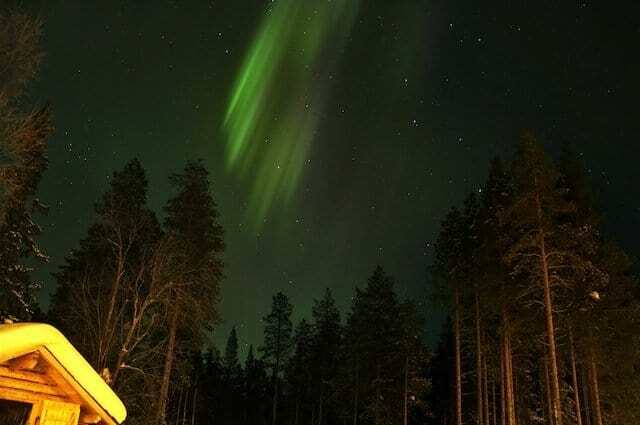 Tell those same people that you’re actually going to visit Chernobyl, and the looks turns to bewilderment, the look in their eyes suggesting they’re analysing you for signs of positive mental health. This is gradually changing though – from a trickle of curious visitors 10 years ago, to more than 10,000 annual visitors to the site today. The idea of “Dark Tourism” to places involving death, disaster, war or similar tragedy might seem like a new and increasing travel fad, but a trip to Pompei, Alcatraz, or Hiroshima could also be classified as such, and these have been well on the tourist’s radar for many years. 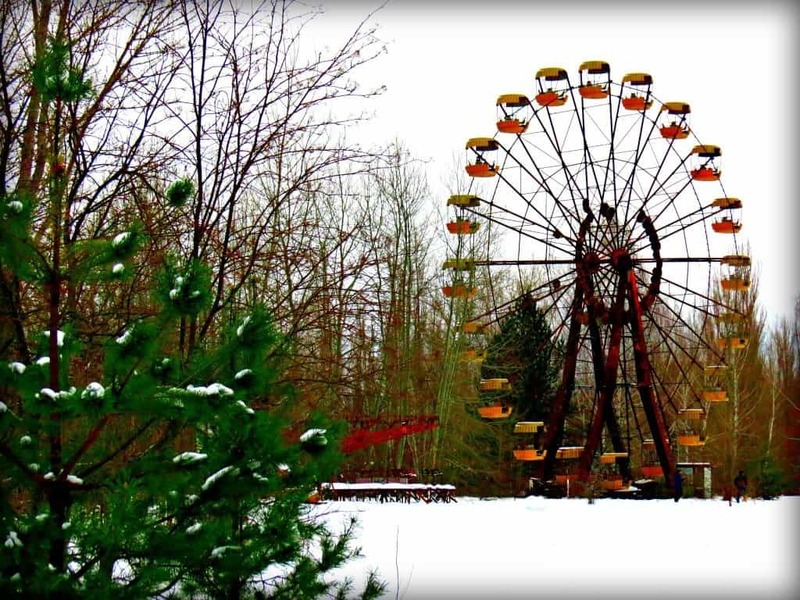 While it certainly may seem macabre for some, a visit to Chernobyl is a sobering mix of desolate landscapes, a chilling reminder of the potential danger of nuclear power, a rare glimpse into the Soviet Union before the break-up of the nation, and of a place etched into history. There’s not many major news events that you can remember happening as a child and then have the chance to visit in person, almost unchanged, 30 years later. 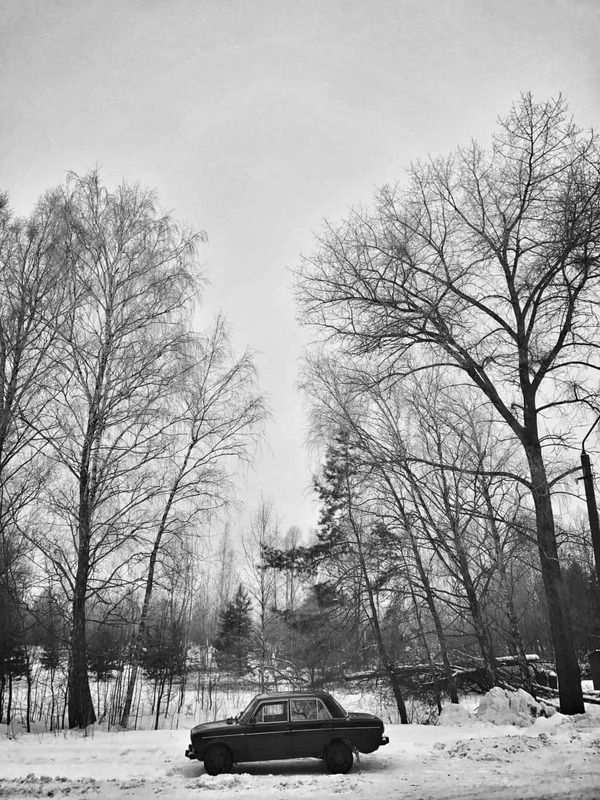 Visiting in the winter, as we did, also adds to the haunting, cinematic landscape of Pripyat, the closest town to the nuclear reactor site and from where 49,000 workers and their families had to be evacuated for fear of radioactive contamination. 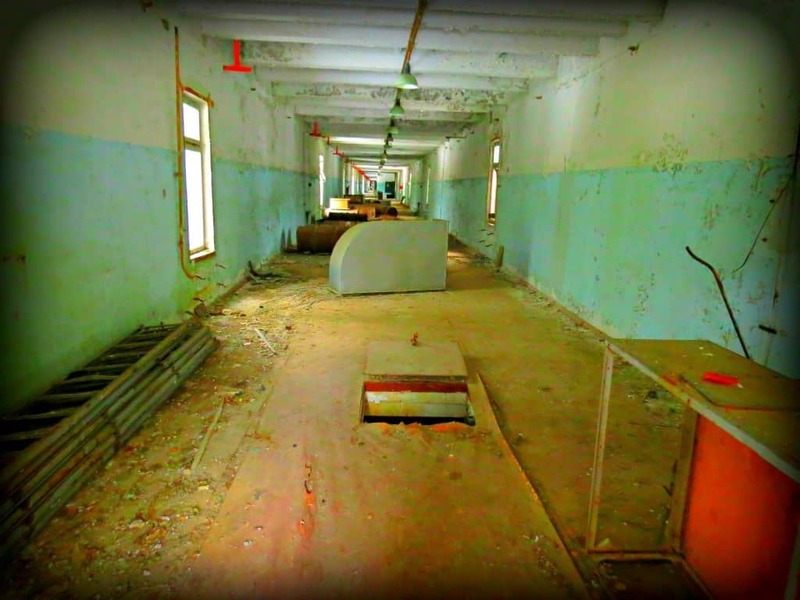 With no access allowed into the fateful site of Reactor 4 itself, covered now in a giant rust-proof sarcophagus to prevent any further radiation leak, Pripyat offers one of the most fascinating stops on the trip, and the reality of what happened hits home more than seeing the reactor itself. To go there now is akin to starring in your own personal episode of The Walking Dead – buildings virtually untouched by human interference for three decades, now just ghostly shells of the Hotel Polissya, the restaurant, a supermarket, swimming pool, boxing ring, and flats that previously these people called home. In a moment of tragic irony, the accident occurred during a safety test – with the attempted shut down resulting in a massive power surge that blew up part of the reactor. 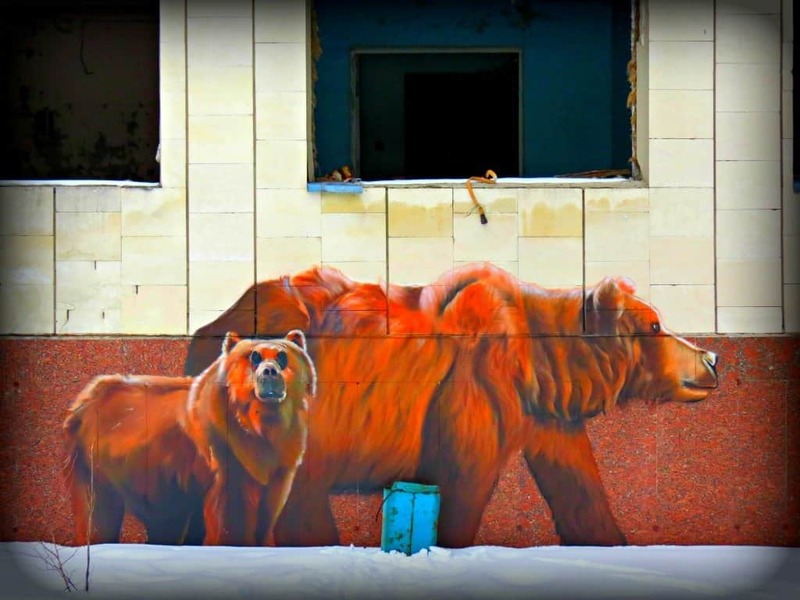 Equally ironically, in the years since the blast, wildlife has returned to the area – brown bears, wolves, elk and deer have been spotted roaming the increasing foliage, and although there are many scientific claims of animal mutations, there are also suggestions that humans are a worse force for nature to thrive in than a nuclear disaster is.Although a 10 km and a 30 km perimeter were set up in the days and weeks after the disaster, 60% of the resulting particles blown up into the air were later discovered to have spread over the border into Belarus, other parts of Europe, and with traces even found as far away as Canada. 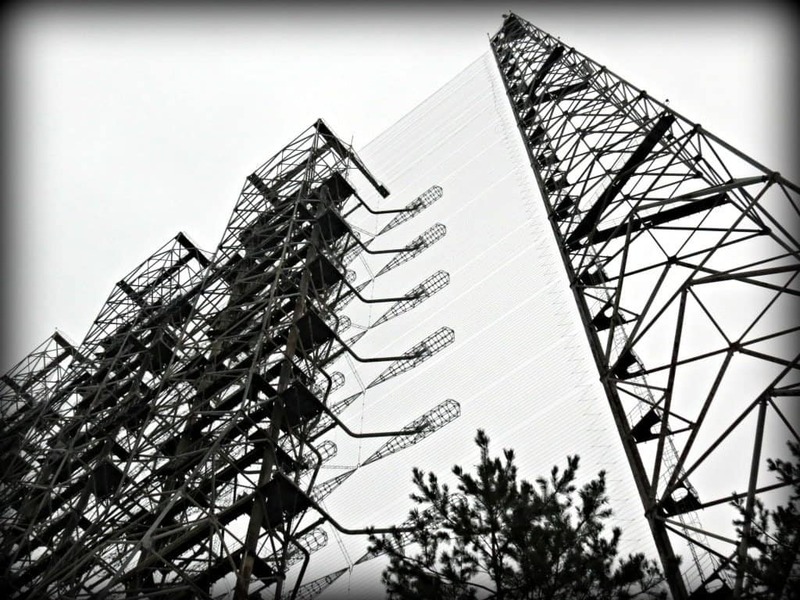 Pripyat is understandably the area most people want to spend the most time walking around, but the trip offered up a couple of other wonderful surprises like the eerie DUGA-1 radar – a gigantic, otherworldly construction nicknamed “the Russian Woodpecker” due to the noise that could be picked up on shortwave radios while it scanned the airwaves for potential ballistic missile threats. Equally intriguing, on a smaller, more relatable level, was the memorial to the doomed villages who had to be evacuated in the area, each signpost effectively a tombstone to the death of that conurbation. 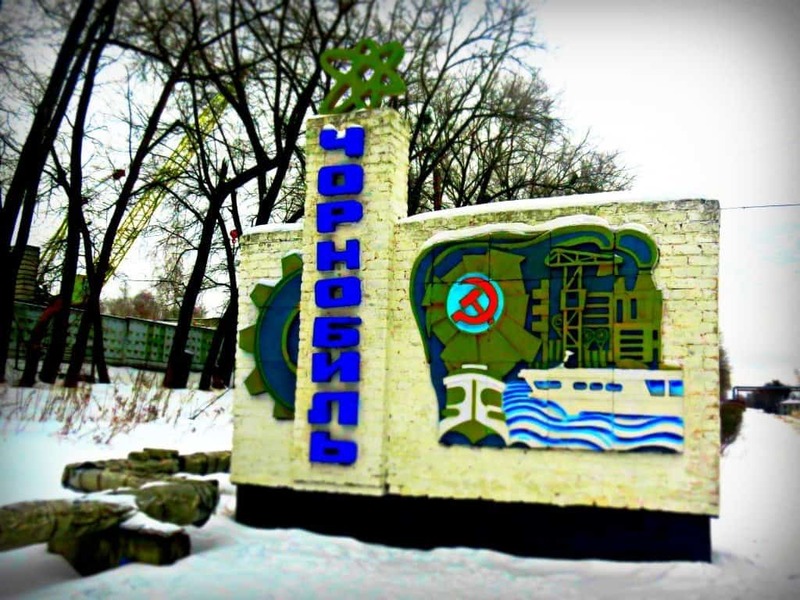 Some stops acknowledge the immediate aftermath of the disaster – a monument to the brave firefighters who were first on the scene and lost their lives doing so, or the display of robotic machines that were sent in to help clean up the site, many becoming so covered in radiation that they stopped working after a matter of days. 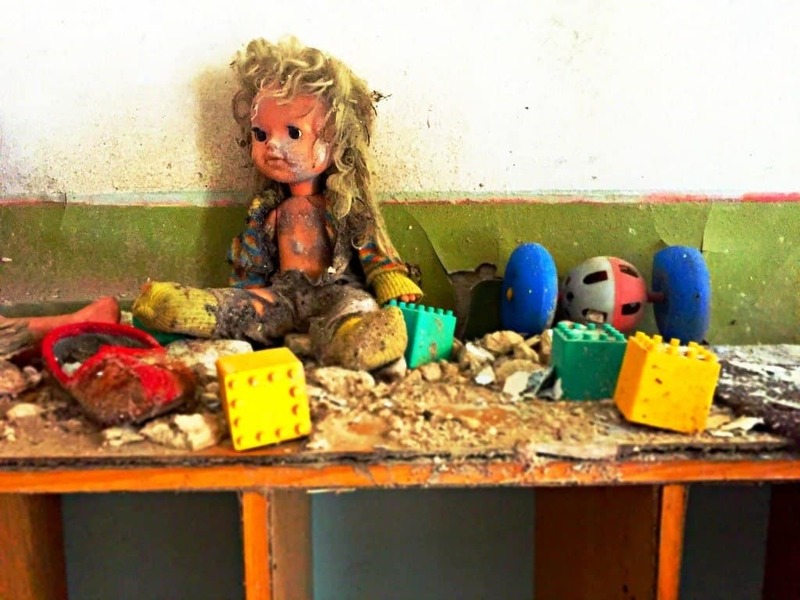 Other stops around the area reveal a glimpse into what the place used to be like – like the Kopachi kindergarten, once filled with the laughter of young children but now home only to decaying walls, abandoned toys, and broken furniture. Apparently this is a mixture of the ravages of time, some artificial placement of items, and genuine abandonment – but it’s hard to work out where the real horror ends and the artifice begins. Elsewhere, the potent symbol of unbridled fun that is normally associated with a ferris wheel or bumper cars now reveals only rusting metal, the beep of a Geiger counter as a particle of plutonium is found and the endless silence of a fairground that never was (it was to open 4 days after the tragedy). In 30 years time perhaps similar visits will be offered to Fukushima in Japan, the most recent similar nuclear tragedy. 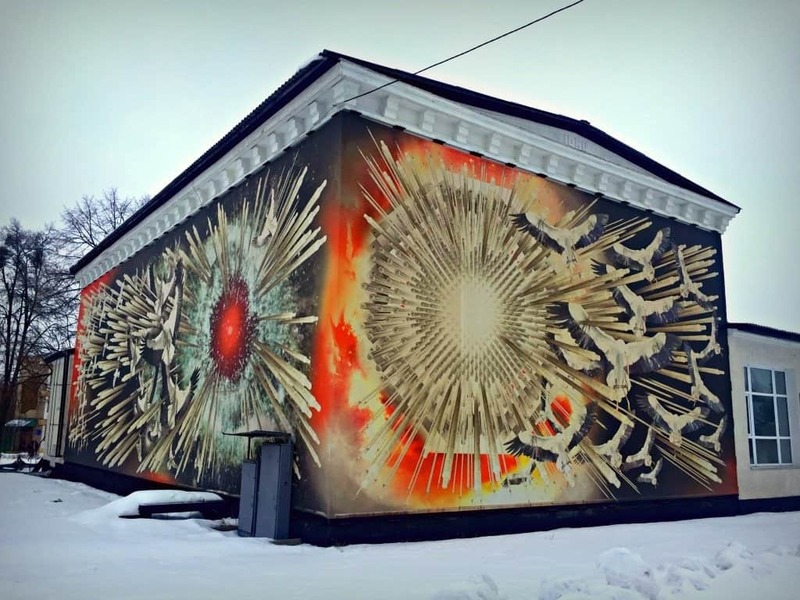 Until then, and as long as you go to Chernobyl with a respect for what occurred there, now is the perfect time to visit a most unlikely destination. It’s still fresh enough in the mind of an entire generation of travellers, and yet leave it too long and the passage of time, with Mother Nature’s help, may yet swallow this iconic site of history into forests and dust forever. All words by regular contributor Lee Hubbard and all images by Lee except the top image and the video which was created by our videographer Gary Nunn. Lee and Gary flew to Kiev with PlanetChernobyl with the Ukraine Airlines company FlyUIA who make direct flights from Paris, Brussels, Frankfurt, London and Geneva with weekend packages starting from€690 including a visit to Chernobyl and Kiev with direct flight, transfers and nights in a four-star hotel. That looks amazing! Somewhere I’ve always wanted to visit. 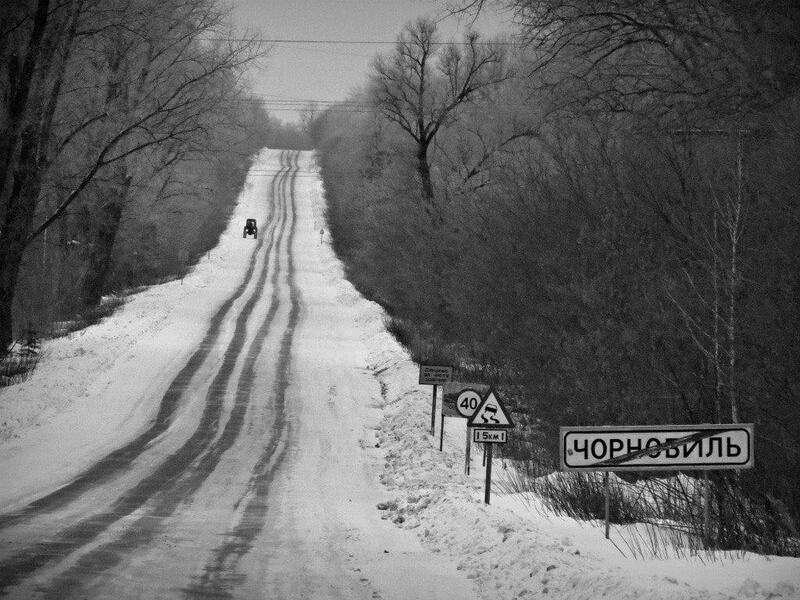 Were you limited to the time you could spend ‘in the zone’ or is it safe to wander round? 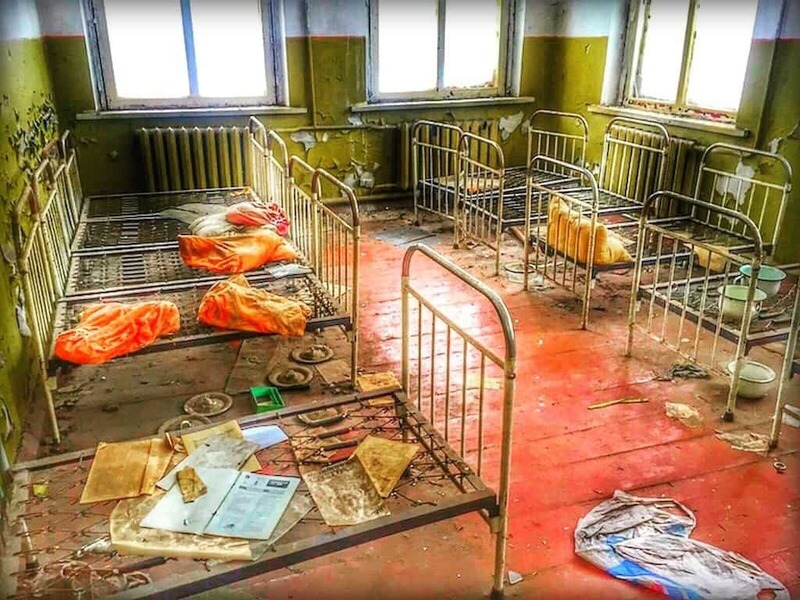 Wow Chernobyl looks like such a mystical place – amazing. Thanks Cortes – it certainly is quite breath taking! 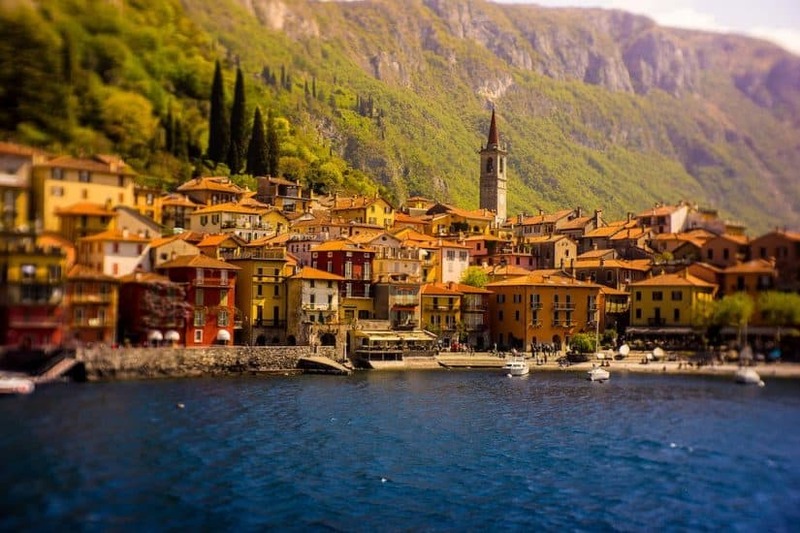 Awesome post and video guys, such an intriguing but yes very unusual travel destination! Cheers Salvatore – very unusual but totally worth checking it out! What a haunting and truly interesting article!! Glad you liked it Christine! Thanks again for this post, we hope you enjoyed this unforgettable experience! 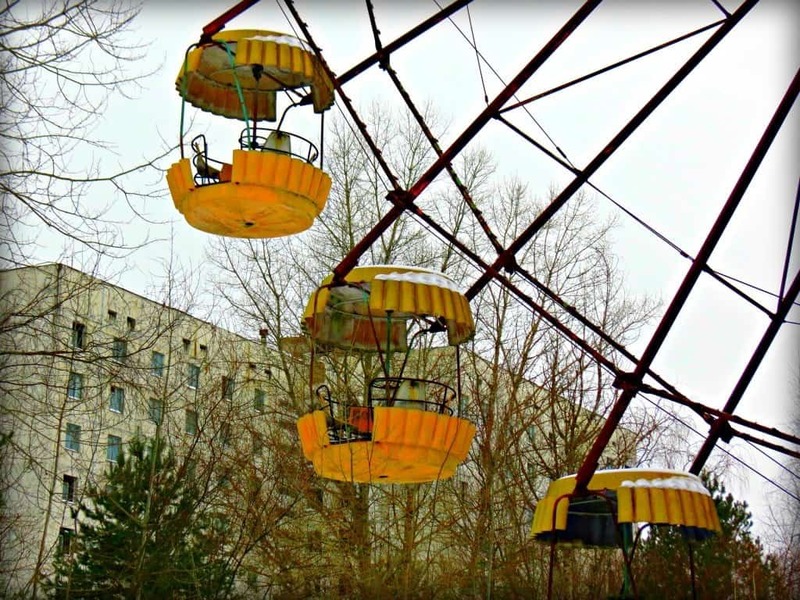 As a member of a “certain generation,” I was trying to remember where I was when the Chernobyl disaster occurred and this compelling post was a fascinating look at a tragic incident. 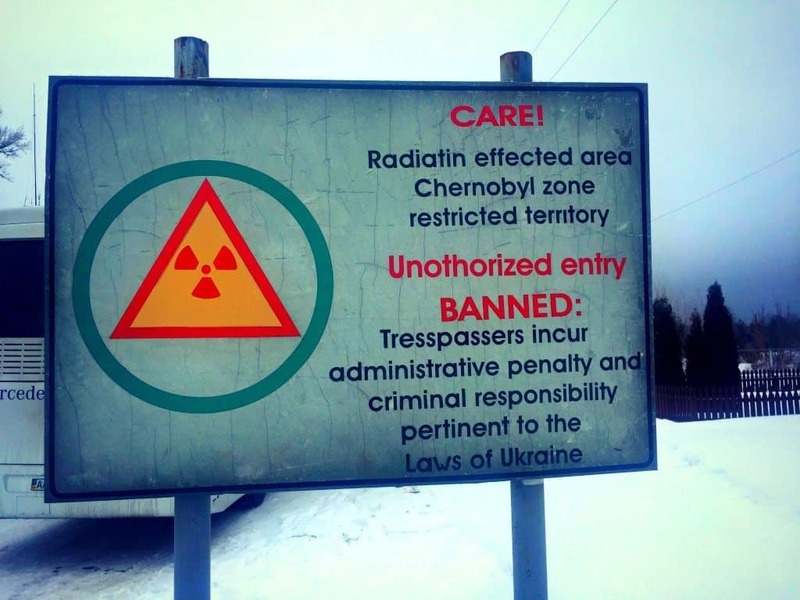 If I ever find myself in this area, I’ll be making Chernobyl a number one priority on my list of places to see. 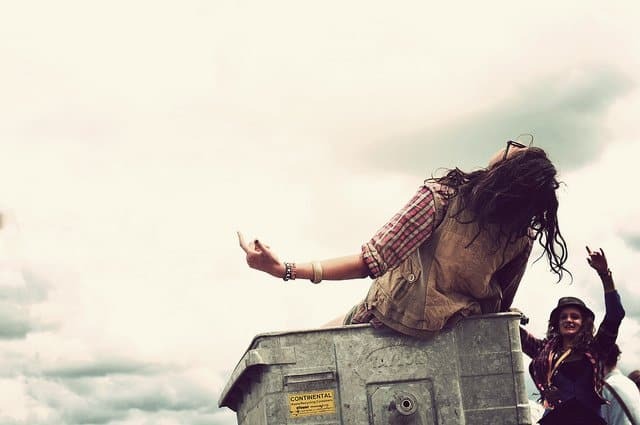 A totally unexpected and thought provoking post! Glad to hear it rekindled some memories Anita – I hope you manage to visit it yourself one day! 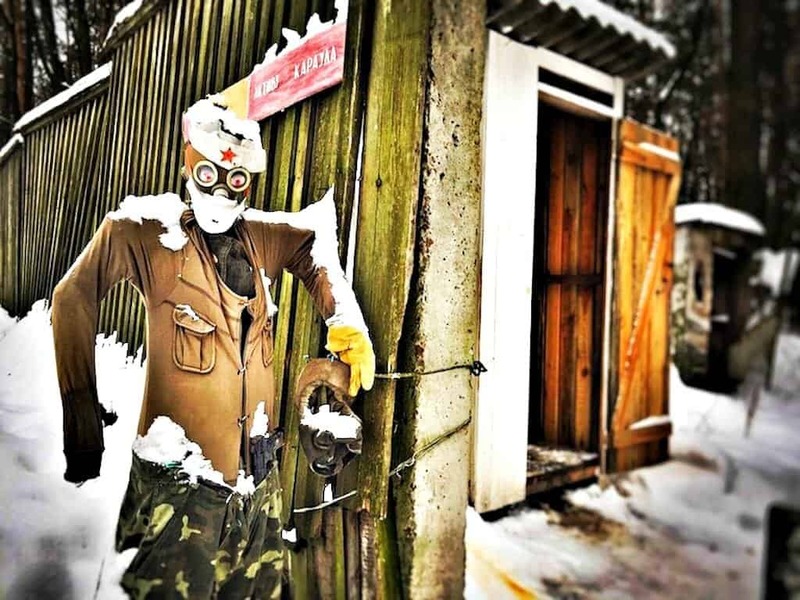 Chernobyl is truly a haunted place, but it has some mysterious beauty, Lee! Thanks Agness! Glad you liked the photos and video! Wow, This is wonderful. It so looks like a haunted place. Glad you could go and do a writeup. So fascinating to read an amazing write up indeed with an incredible short film, it is no longer lost in the past you have brought it back to the present for the unique traveller. It is good to know that you can go. Glad you liked it Emma! And yes it sure is a unique place to visit! Such a wonderful write up, photos and the video too – a unique and haunting destination indeed! Thanks Guptash! It was certainly a very unique place to visit! I loved the post! 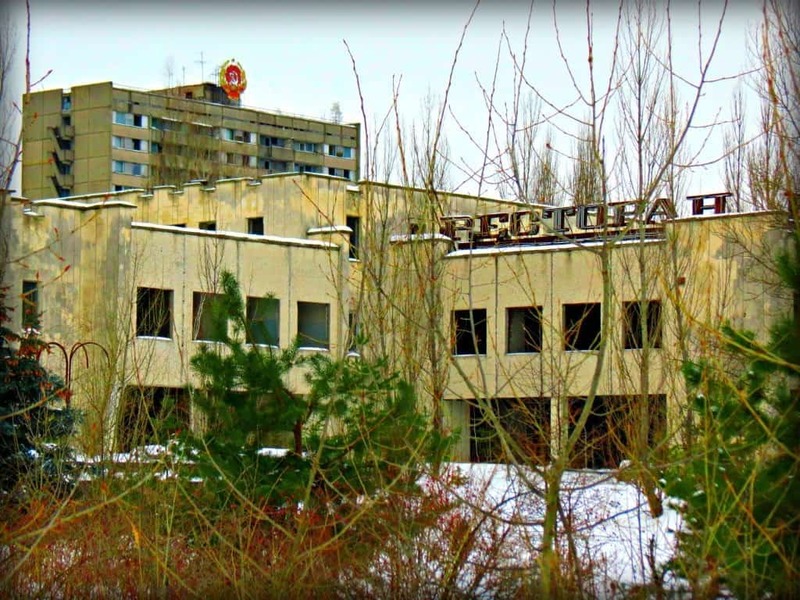 Chernobyl and the experience you get once you are there is very well explained and shown with the writing, pictures and the impressive video. I highly recomend the expirience. It won’t let you down. On top of that Kiev is a beautiful city full of history, pain and pleasure. Such eery photographs. It sounds like it would be an amazing experience. I definitely need to visit soon. So interesting! Thanks Kate! Hope you make it there one day! 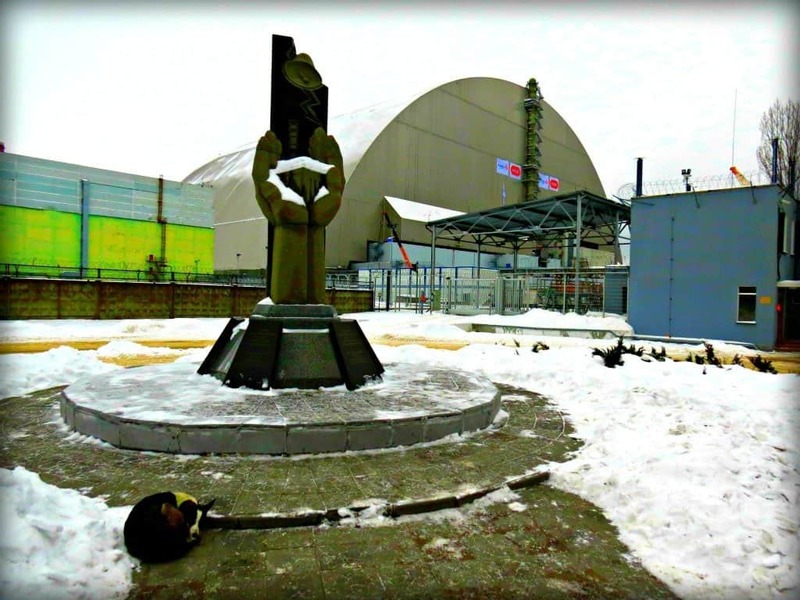 Did you guys go to the Chernobyl museum in Kiev? It’s really good stuff. Sadly not Anna – we didn’t have time on this visit. But hopefully we’ll be able to rectify that next time!